I would like to thank you for your guidance and advice. Since last three years I wanted to expand my family but had two abortions. When I contacted you, you advised to do some Lal Kitab remedies. The remedies were simple and on 18/01/2012, I gave birth to a male child. I want to convey my gratitude and thanks for your useful advice. I have contacted you many times in the past three years and feel you are extremely accurate in your predictions. I am very satisfied with the clarity of thoughts and explanations given by you. Your remedies are simple and inexpensive and they proved to be very useful in getting a very good job post retirement. Thanks for your valuable advice and guidance. I was aiming to clear departmental promotional examination from a long time but my efforts were not yielding desired results. After undertaking two to three simple Lal Kitab remedies suggested by you, I have not only cleared the examination but also performed well in interview and got promotion in September 2011. Thanks for your valuable advice. I could not believe that by doing some simple remedies we could improve our health and sorroundings. My diabetes and blood pressure is also in control thanks to your valuable suggestions. I am feeling healthy and putting my full energy into my own business. Thanks for your instant response and useful advise. I look forward to meeting you personally and thank you upon coming to India. I have been taking astrological advice for the past one year from you and I have found that you have great expertise in this field. I have seen a great improvement in my financial position since carrying out such remedies. Please provide your support and guidance in the future also. Acharya Ji, I would like to express my gratitude to you for showing me the path to progress. I have seen that there is such a peaceful and comfortable feeling in your voice and your tone is at once deeply knowledgeable and yet humble. I feel very confident after talking to you. I have talked with other astrologers also, some famous some not, and have been quite disappointed with their knowledge and grasp of astrology. I feel that you are evolved enough in your own development to be a source of inspiration and strength to others at an emotional and spiritual level. What a comfort talking to you. Again, thank you and I always recommend my close ones to consult you so that their problems could be removed and they could get peace and prosperity in their life. Acharya Ji, Thank you for your heart centered reading. I was very tense when I contacted you as Doctors at AIIMS have suggested me to undergo Angiography and it was expected that I would be required to go for Angioplasty also. I was very worried because I do not have job at that time and in addition was facing Angina problem. I contacted you one week before the actual date of my angiography at AIIMS and you suggested wearing of two stones along with some simple Lal Kitab Remedies. It was the effect of these remedies that when my angiography was done, the doctors said that it only requires treatment through medicine and no angioplasty is needed. The most surprising thing was that while I was admitted in hospital I got a call from Mumbai confirming my job. I thank you for your valuable guidance and suggestions and look forward to consulting you regularly in the future also for me and my family. Shailesh Kumar Jha, Siliguri, India. Acharya Ji’s predictions are superb. I am having my yearly horoscope analysis done each year now and using the reading as a hugely beneficial tools to meet challenges of day to day life and seize opportunities ahead of me. I would recommend every person to consult Acharya Ji regularly so that remedies based on planetary changes could be done on time. “Guru Ji I have seen that your chart analysis is of very high standard and you seem to have a good talent for going deep into the chart and revealing the deeper truths and subtle and psychological perspectives to the person consulting you. Thanks for your valuable advice”. It was very nice meeting you. You have predicted that August 2012 onwards, there will be good job opportunities for me and I will also see career growth. You also told me that I will get a chance to work with a good multinational company and yes I got a job offer from one of the best IT companies in India in mid 2012 and I am still working with that company. Thank you very much for your support and suggestions. I can definitely say that your predictions turned out accurate. I got in contact with Vikas Sir with the reference of some of my close friends in UK. They highly recommended him and I soon found out why. I was going through some cross roads in my life and his horoscope reading really helped me see things a lot more clearly. He really is amazing and gifted at what he does. He gave me some insight to what I need do to maintain balance at work and personal life and how to keep growing. I have been blessed along my path to have many special people help me on my journey and he is definitely one of them! Thank you, Acharya Ji. After a long unfruitful search for a matrimonial alliance for my brother, his marriage got fixed quickly after consulting Acharya Vikas Ji! His support and guidance means a lot to me and my family. His numerology predictions are very accurate and effective. Thank you! I remember my business was in rough patches and I was going through huge losses with a burden of heavy loans on me. You suggested some simple lal kitab remedies and wearing of two gem stones which changed my life significantly. Within a very short period of time, my business started gaining momentum and various family problems got solved! I was successful in repaying my loans and today I feel much relieved and working hard to further improve my business. I will continue to take periodical consultation with you so that I can continuously work for upliftment of my career. Thanks for your support. I would like to appreciate that Acharya Vikas Malhotra is a Professional Astrologer in today’s world. 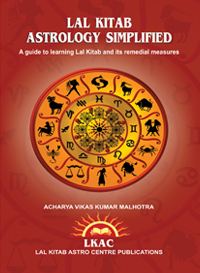 I myself have studied Vedic Astrology but I am surprised at the depth of his knowledge of astrology and related disciplines. 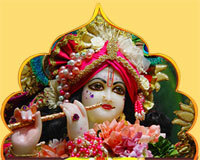 I consulted him for my own horoscope when I was facing many problems in my profession. He suggested some Lal Kitab Remedies which I did with full faith and devotion and got good results. All of my problems relating to my profession were solved and attracted by his knowledge and charisma; I decided to learn Lal Kitab from him. After studying Lal Kitab for six months from him I am feeling a lot of confidence in my predictive ability. I have observed that he explains the logic of various Lal Kitab Remedies scientifically and by giving a lot of examples that make it easier for a person to do remedies effectively. I wish him all the best for his great work in future also.